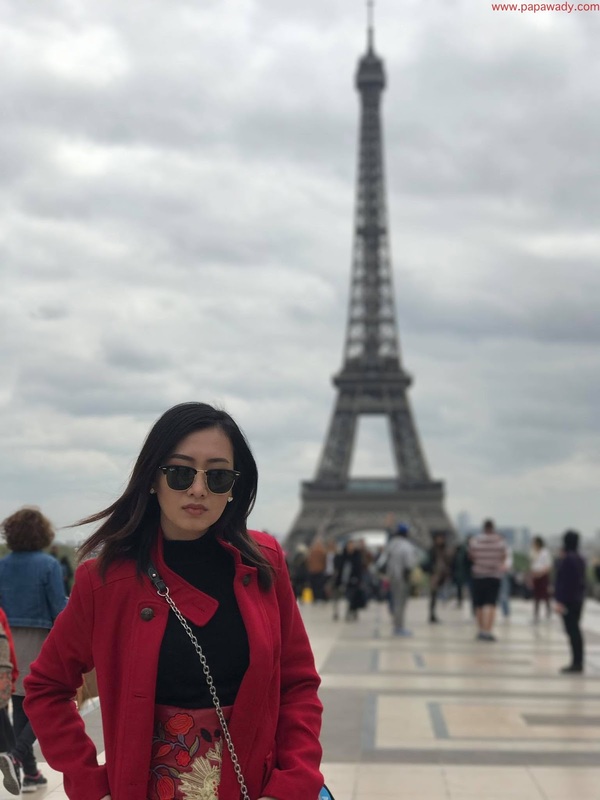 Myanmar Actress and Model Yu Thandar Tin shared her vacation photos to Paris City. 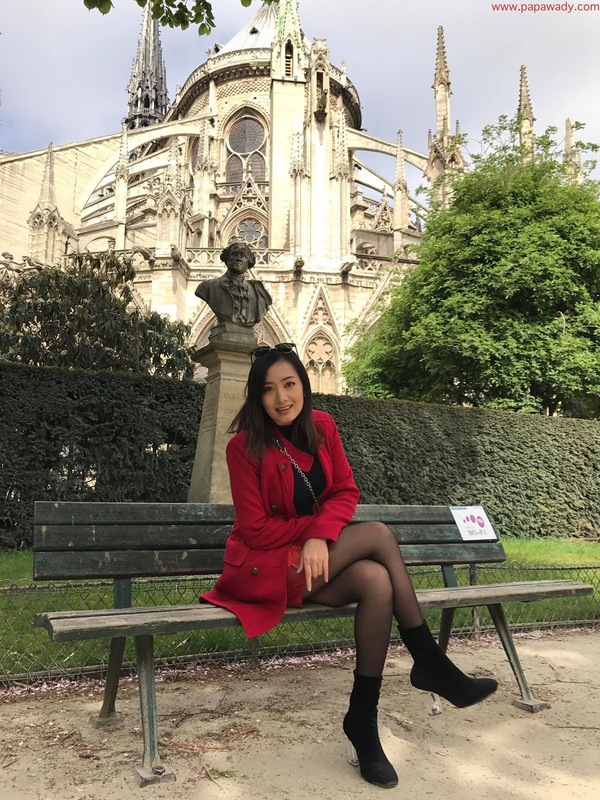 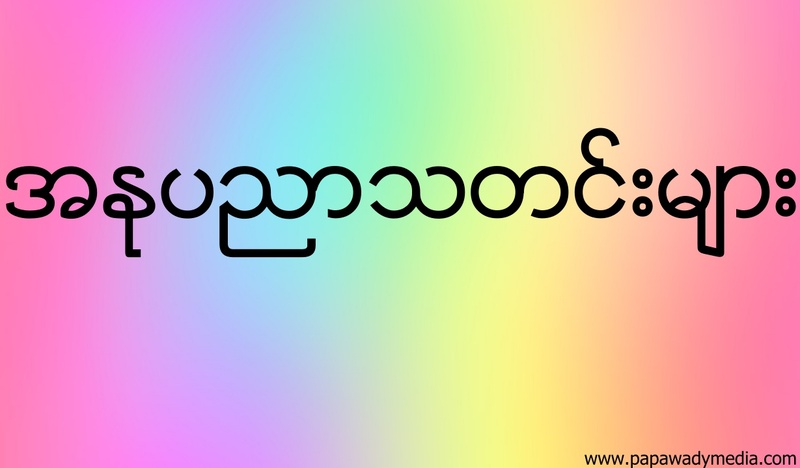 This is a new year celebration time in Myanmar and she is enjoying her vacation in beautiful city Paris. 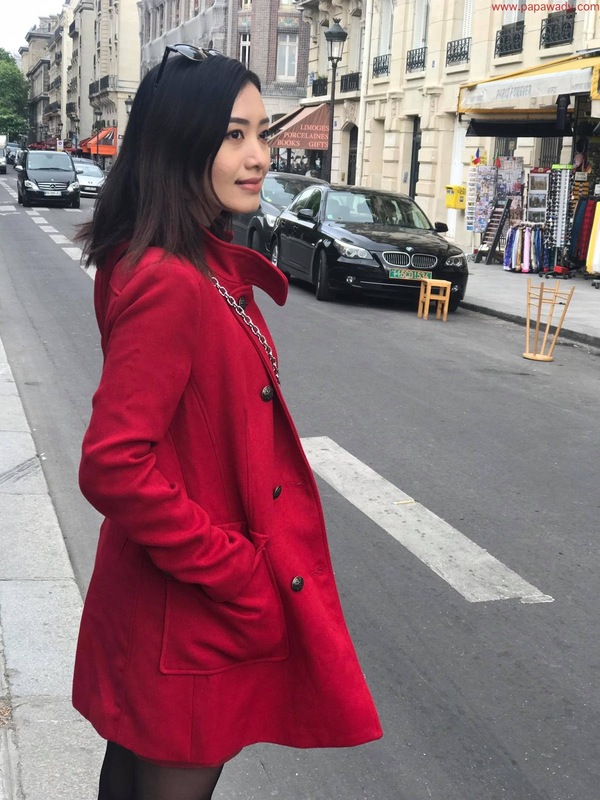 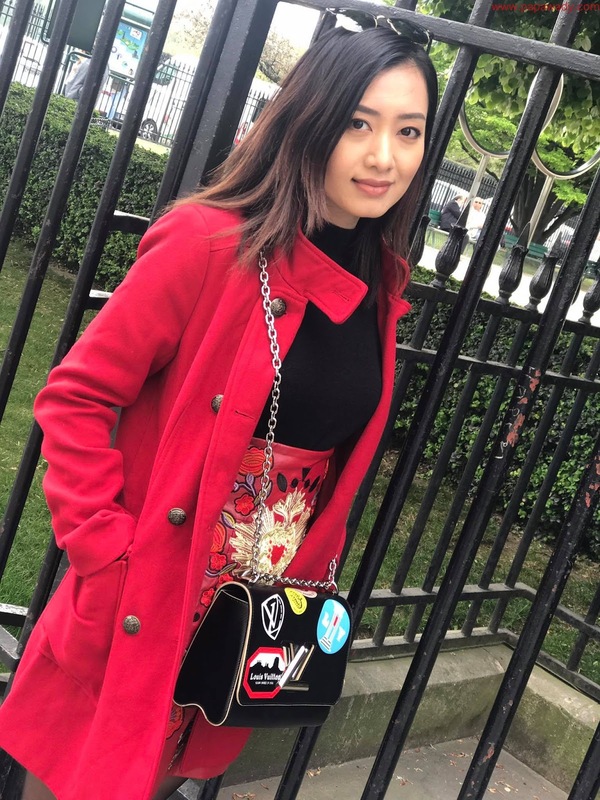 She is wearing Red Fashion Coat in this pictures.